At the Indiranagar Data Party! Garbage Go! 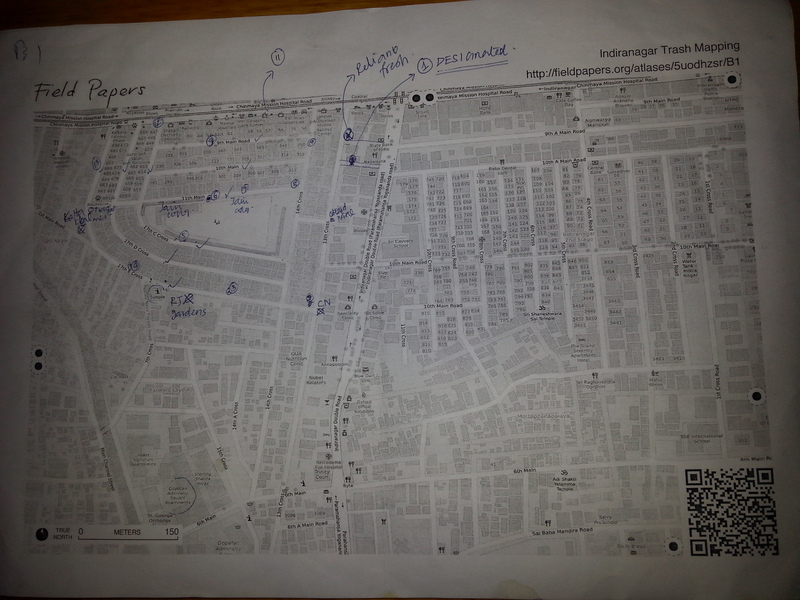 they had a few people who didn’t want to use technology to map garbage so Maanya and Aarthy printed out Field Papers for mapping. These worked really well and allowed for a more inclusive event. 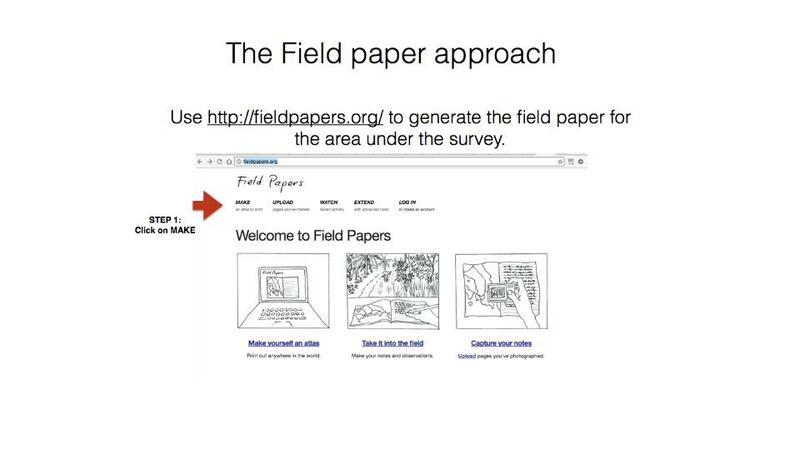 Maanya from Mapbox made a how to for using Field Papers. 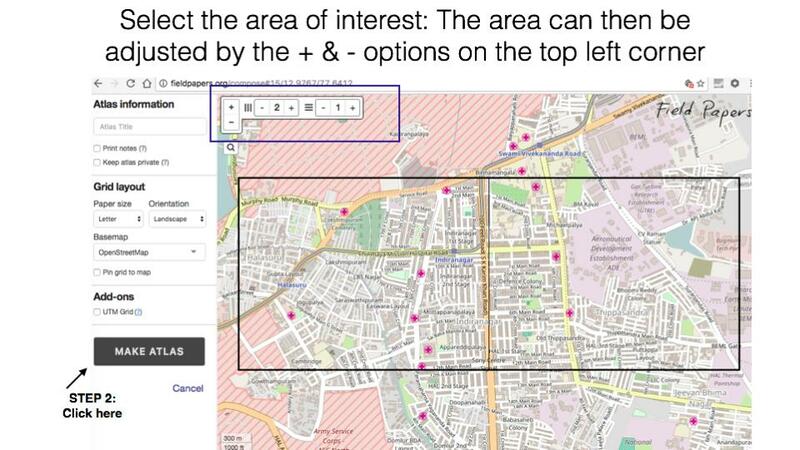 Step 2: Go to the area you want to map and select with the rectangle. 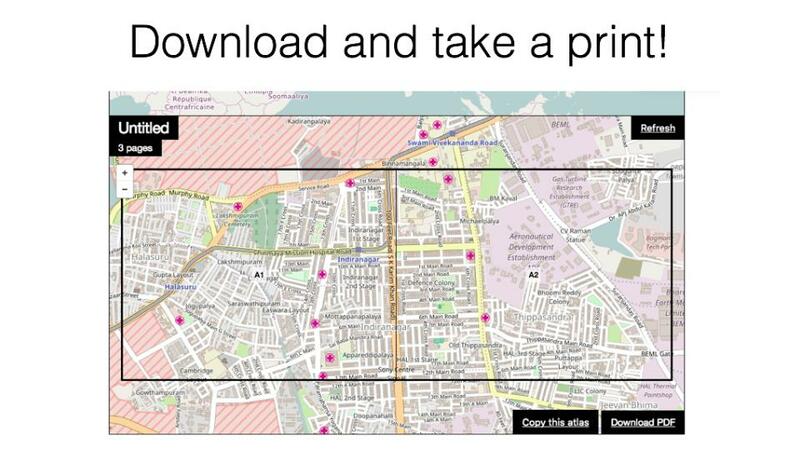 They will look like this and you can give them to people to map along the way.